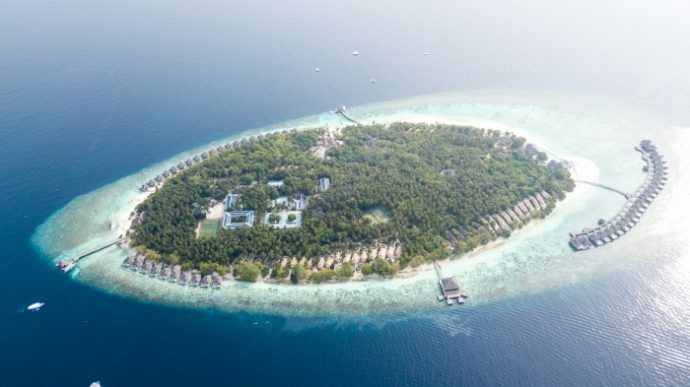 Dusit Thani Public Company Limited (DTC), one of Thailand’s leading hotel and property development companies, has announced plans to divest Dusit Thani Maldives to its subsidiary, Dusit Thani Freehold and Leasehold Real Estate Investment Trust (DREIT). The sale, which is valued at more than 2 billion baht (USD 63 million), is part of a strategic move designed to enhance DREIT’s appeal to investors whilst allowing DTC to recognise gain from sales, continue to obtain revenue from the property, and receive dividends from DREIT. “In line with our vision for sustainable and profitable growth, we are continuously seeking ways to improve the efficiency of our asset portfolio to enhance revenue creation, generate returns, and source funds to aid in our business expansion. Recently DTC’s Board of Directors approved a resolution to dispose rights and leasehold rights in Dusit Thani Maldives worth not less than 2,304 million baht, subject to shareholders’ approval,” Suphajee Suthumpun, Group Chief Executive at DTC, was quoted in a statement, as saying. With the acquisition of Dusit Thani Maldives, DREIT plans to issue and offer for sale approximately 365,000,000 new trust units as a part of the source of funds. DTC’s Board of Directors also approved a resolution to subscribe for the newly-issued investment units of DREIT in accordance with the rights offering. This would allow DTC to maintain its investment proportion and receive the dividend from DREIT to use for working capital and further investment. Located on Mudhdhoo Island in Baa atoll — the Maldives’ first ever UNESCO biosphere reserve — Dusit Thani Maldives blends gracious Thai hospitality with the unparalleled luxury setting of the Maldives. This luxury island resort comprises 94 villas encircled by white sandy beaches, a stunning 360 degree house reef and a turquoise lagoon. With a unique combination of beach and lagoon accommodation, Dusit Thani Maldives provides an unmatched luxurious escape for all travellers. The resort offers a 360 degree vibrant house reef compliment with a turquoise lagoon, a 750-square metre infinity swimming pool with a lush Banyan tree in the centre, five restaurants and bars with breathtaking views and a Kids Club that is committed to making children’s dreams come true. The award-winning Devarana Spa at Dusit Thani Maldives encompasses six deluxe treatment pods, which sit elevated amongst the island’s palm trees. For those who prefer to keep their feet firmly on the ground, the spa has also developed two stunning ground level treatment rooms. Manicure and pedicure-dedicated area, private outdoor pool, steam and sauna are exclusively available for spa guests.